The Estate of William Knight and Knight Disposal is offering at public auction the following properties. All properties located in Mississippi County. Sale of properties to be sold subject to approval of the Probate Courts. Tract 1 22.28 acres +/- Farmland located on N. CR 567 and E CR 122, Mississippi Co.
Tract 2 Gosnell One Stop and Quonset Hut, 1215 Airbase Hwy, Gosnell, Mississppi Co.
Tract 3 Knight Trailer Park, 1215 Airbase Hwy, Gosnell, Mississippi Co.
Tract 7 Office and Beauty Shop 1201 S. Airbase Hwy, Gosnell, AR, Mississippi Co.
Tract 8 Knights Disposal Service Main Shop, Boyd Lane, Gosnell, AR, Mississippi Co.
Tract 9 67.44 acres +/- Farmland located on N CR 519 and E CR 246, Mississippi Co.
67.44 +/- acres of tillable farmland located in Mississippi County, AR. The property is one contiguous tract and located along N. County Road 519 & E. County Road 246. 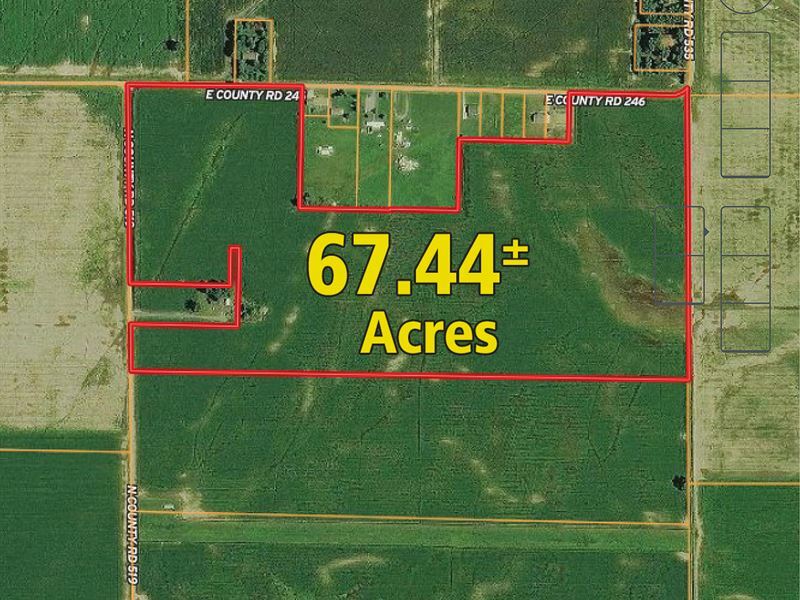 Great investment to add to your portfolio or additional acreage to your farming operation. Click here to email the Auctioneer and get more information or schedule a viewing of this farm.